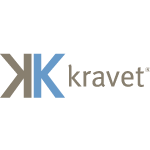 Kravet has been supplying premium upholstery, trimmings, wall coverings, and other home furnishings since the early 1900s. A family-owned company, now in its fifth generation, it prides itself on working with some of the world’s best manufacturers – acquiring the venerable Lee Jofa and Brunschwig & Fils fabric houses – to create a wide array of fabrics for America’s leading interior designers and manufacturers such as Baker and Hickory Chair. Their designer collections include Barbara Barry, Diane Von Furstenberg, Kelly Wearstler, Pierre Deux and Thom Filicia.